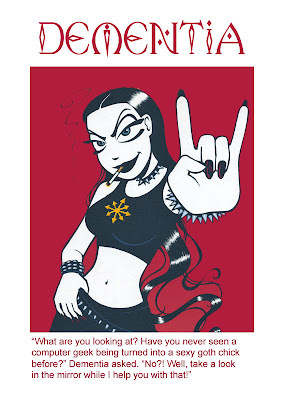 My favorite comic strip in the world is Nemi made by Norwegian Lise Myhre. Well, Nemi made me think about Dementia over at Rachel's Haven, which is why I made her the following two caps based on Lise's artwork. 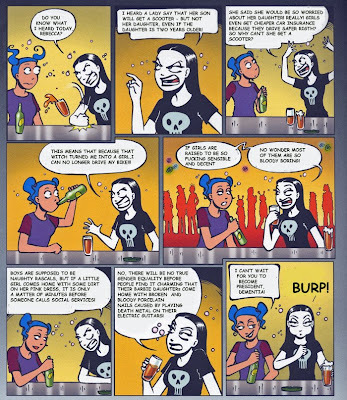 I do not think Nemi is available in the US, but if Americans want to read the comic they may go over to the Metro site in the UK. See also the Wikipedia on Nemi.